Juventus coach Massimiliano Allegri played down Cristiano Ronaldo's penalty miss, but felt the forward was too rushed early in his performance. 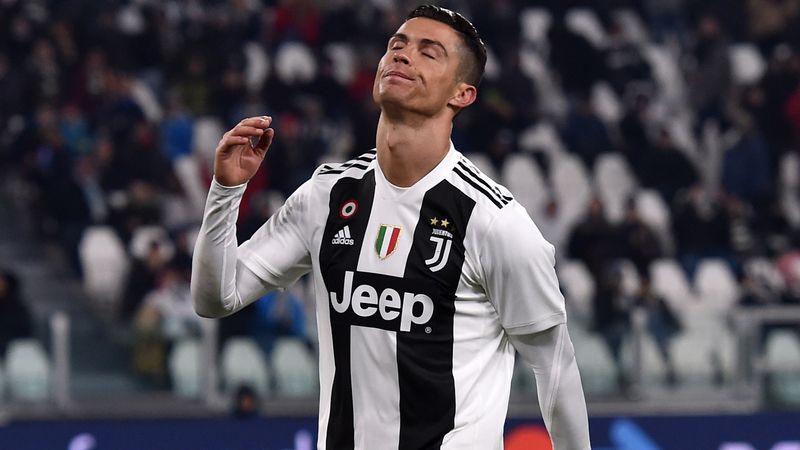 Ronaldo had a second-half penalty saved while Juve cruised to a 3-0 win over Chievo in their return to Serie A action on Monday. Douglas Costa, Emre Can and Daniele Rugani were on the scoresheet as Juve moved nine points clear at the top. Allegri said his side's win, not Ronaldo's miss, was most important, although he felt the forward was too eager to score in the first half. "Important penalties are others … it can happen to miss a penalty," he told a news conference. He added: "He (Ronaldo) wanted to score and in the second half technically played much better. "In the first half, he was rushing too much to find the net. In the second part of the match, when he played easier football, he had two or three good goal occasions." Ronaldo is equal top in the Serie A goalscoring charts with 14 so far this season.